SALE PENDING This is a big, pretty, proven ranch gelding that is in the prime of his life. There aren’t many for sale at this age that have the kind of lifelong ranch experience this one does, are good minded and carry it all in a good-looking red dun wrapper. Western has done every ranch chore you can imagine, and most of it in some of the roughest country Wyoming has to offer. If you have a job, no matter how big or how small, this is the go-to horse for you. He is fun to sort both cattle and horses on, pulls even the toughest bulls with strength and confidence, has the cow and run to stick with and rope cattle in the open country, has drug countless calves at branding, hobbles out in the open country, and is comfortable to ride on even the longest days. We have spent the last year hauling him to rodeos to see the sights, rope bulls, pickup broncs, sort stock and even carry a few judges around and he has handled it all in stride. He runs to broncs well, isn’t afraid of the chaos, and stays responsive while picking up. 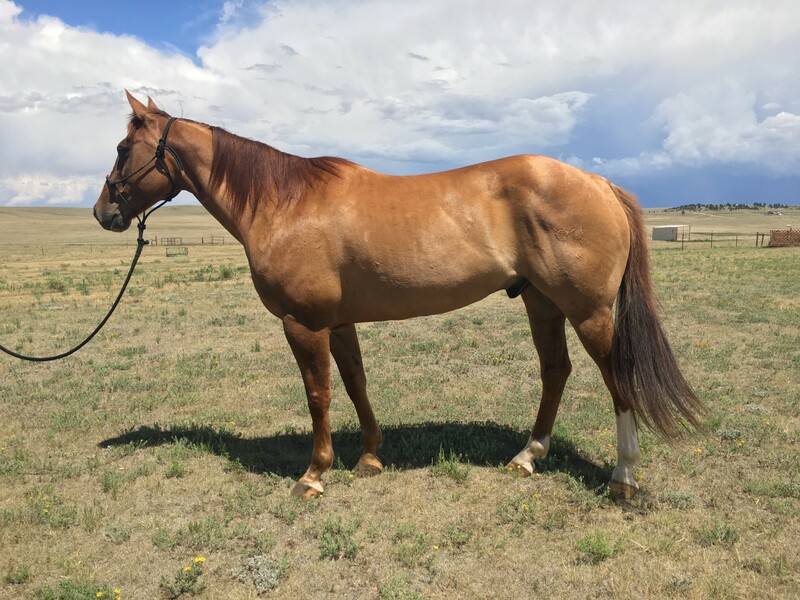 Western is one of the kindest horses you will find, but he is also an athlete that loves to work and needs someone who can appreciate a horse of his caliber. He is gentle with no buck and saddles up the same even after time off, but is a true work horse and is best suited for a horseman with a job to be done. He is one that you can ranch on during the day and take to the ranch rodeo at night and win money, or ride into the backcountry and know that he will stay solid and sane no matter how far you venture. He’s handy, hardworking, easy to be around and will never quit you! He rides correct in every way and will make any horseman proud to swing a leg over him and go to work. Contact us for more info! Asking $9,000 OBO - willing to discuss price for the right buyer.